Service with a smile. Emergency Unit nursing staff will celebrate Nurses Day next week. INTERNATIONAL NEWS - International Nurses Day will be celebrated on 12 May, the birthday of Florence Nightingale - the founder of modern day nursing. Nurses around the globe are celebrated for their hard work and dedication on this special day. "As we celebrate Nurses Day, I would like to salute nurses throughout the province for their dedication to serving others. It takes a lot of dedication, compassion and a spirit of serving to be a healthcare worker," Western Cape Health Minister, Dr Nomafrench Mbombo, said. "In Eden, there are 740 nurses which form the backbone of our health service delivery. Nurses are often the only health professionals accessible to many people in their lifetime. 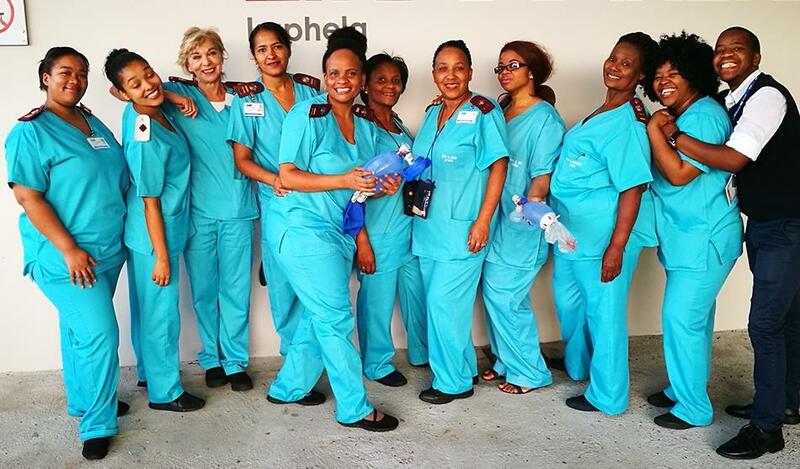 We salute the nurses of the Western Cape and celebrate those who contribute so immensely of themselves to improve the health and lives of others in need. Gladness Vaaltyn (32) is in her community service year and works at Oudtshoorn Hospital as a practical nurse. Nursing for her is a calling that she acted on, as did many other nurses. Gladness started in a hospital as a kitchen hand and spent a lot of time in the hospital wards. "I loved the interaction with our patients and staff," said Vaaltyn. Her true passion for caring and looking after people emerged when she had to take care of her terminally ill mother for more than a year. "This is when I knew I definitely wanted to be a nurse." Take time on 12 May to thank our nurses for their invaluable work, often done under extreme pressure and for many hours at a time.